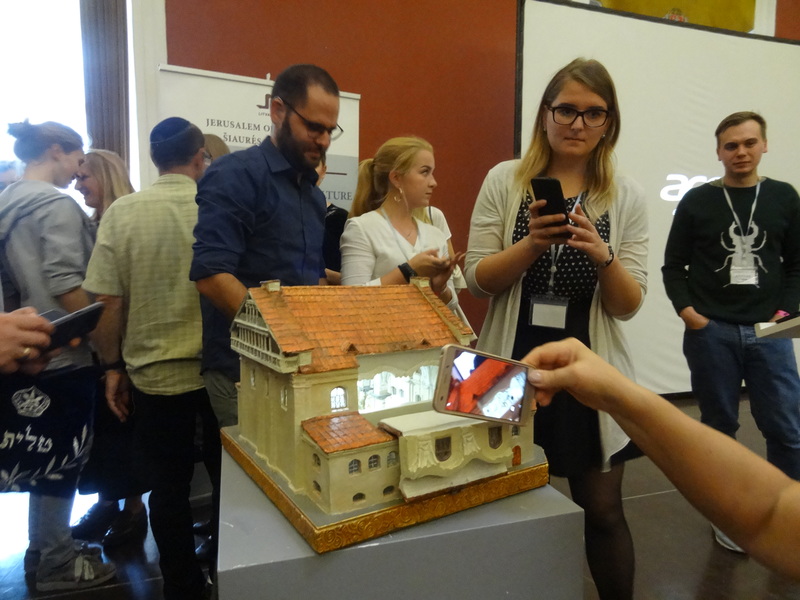 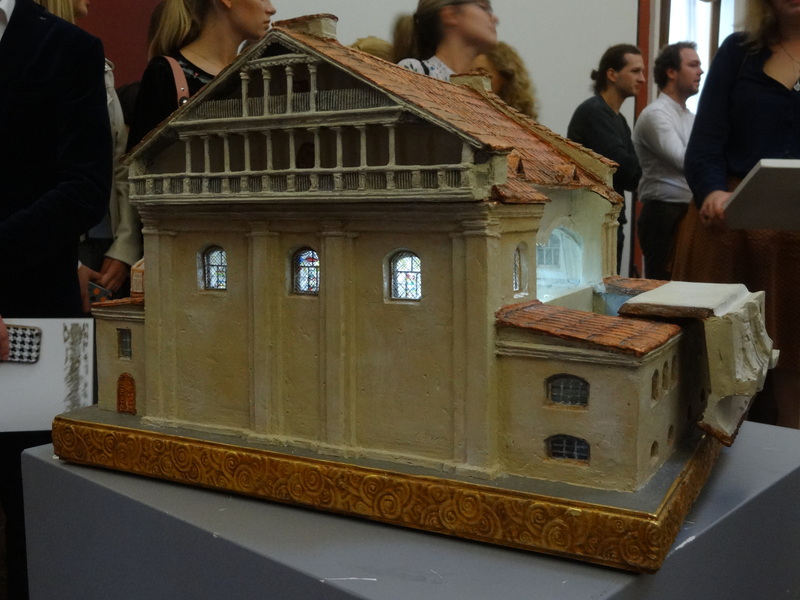 The international students’ creative workshop, aimed at generating innovative commemoration ideas for the Great Synagogue of Vilna site took place in Vilnius 2 – 6 of September, 2018. 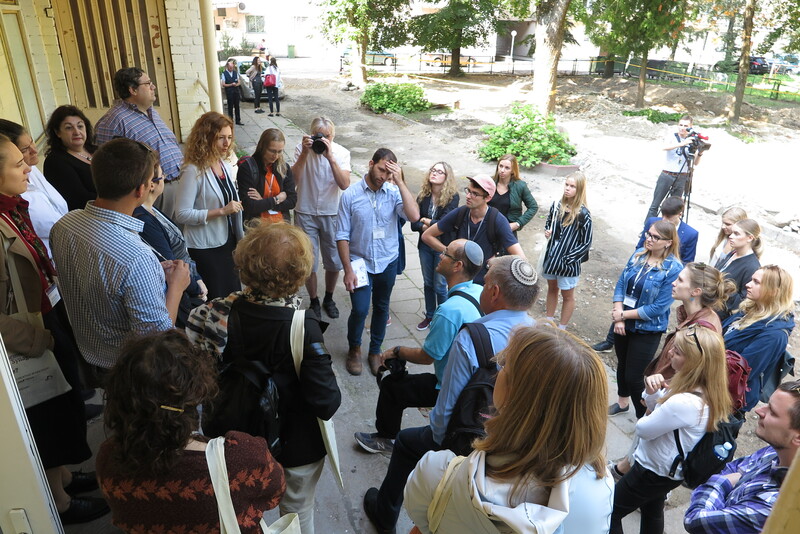 36 participants from Lithuania, Israel, Latvia, Poland, Germany and Ukraine attended inspiring tours and lectures, creativity, brainstorming sessions and created solutions on how to bring back memory, dignity and life to the site. 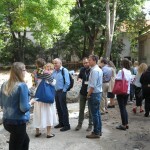 Organizer of the workshop: NGO ,,Jerusalem of the North”. 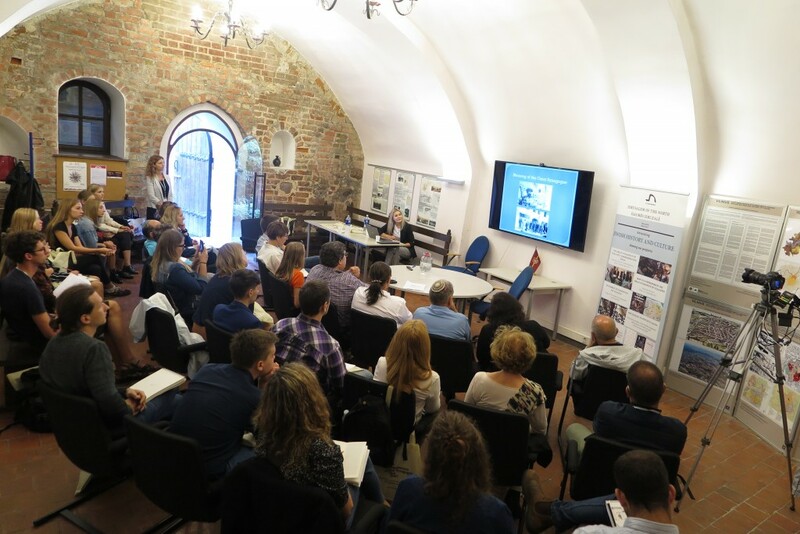 The first session of the workshop took place at Vilnius Old Town Renewal Agency on September 3. 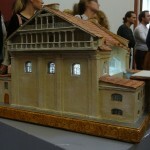 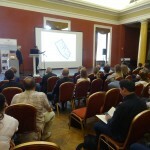 Director of the Agency G. Rutkauskas presented the contextual environment of the Great Synagogue – the urban development and values of Vilnius Historic Centre. 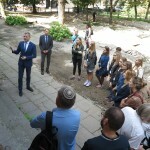 He emphasized that it is very important to remember that the place of the Great Synagogue now is located at UNESCO world heritage site. 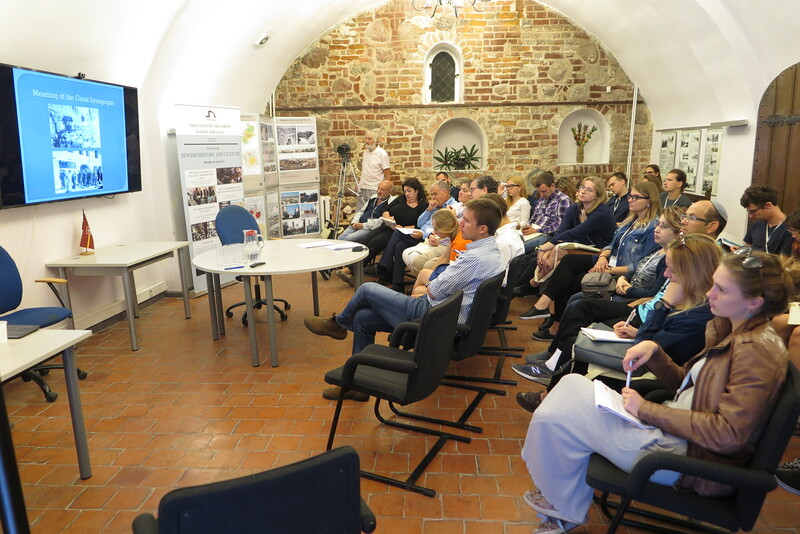 The other lectures were presented by historian of State Vilnius Gaon Jewish Museum N. Latvyte-Gustaitiene and famous istorian from Israel M. Zalkin. 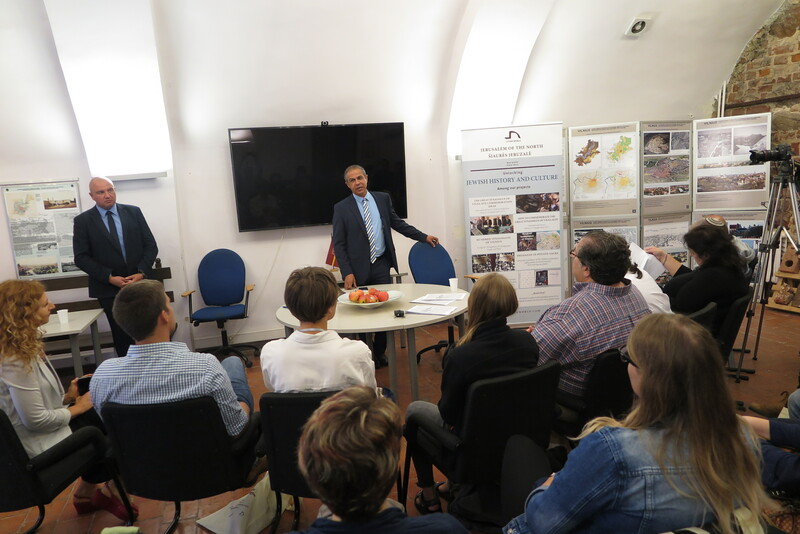 Participants were greeted by Vilnius City Mayor Remigijus Simasius and HE ambassador A. Maimon. 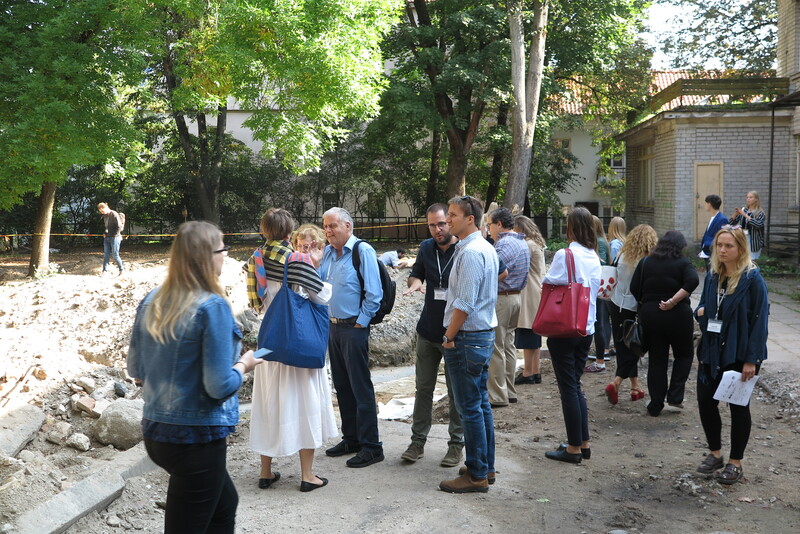 2 days of intensive presentations, debates and productive group work were finalised by review and comments of invited professionals and politicians. 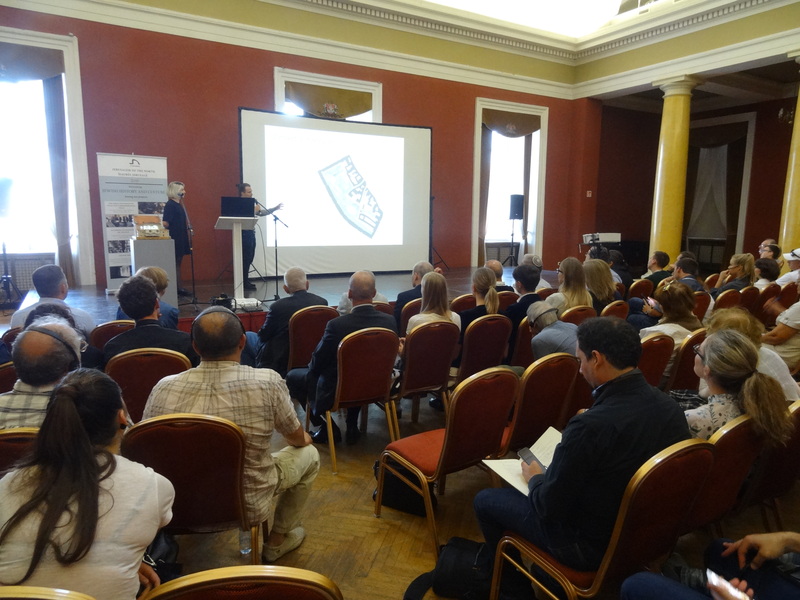 The final event of the workshop – ideas presentation took place at the Vilnius Town Hall on September 6th. 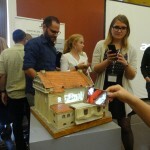 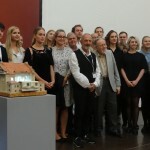 Five multinational and multicultural groups of students presented their visions how to expose the archaeological findings of the site, how to present the former buildings of the Synagogue and Shulhoyf, what new functions should be given to the site. 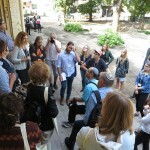 Variety of functions were presented: museum, library, archive, information – education centre, cafe, restaurant of Jewish food and event a small hostel. 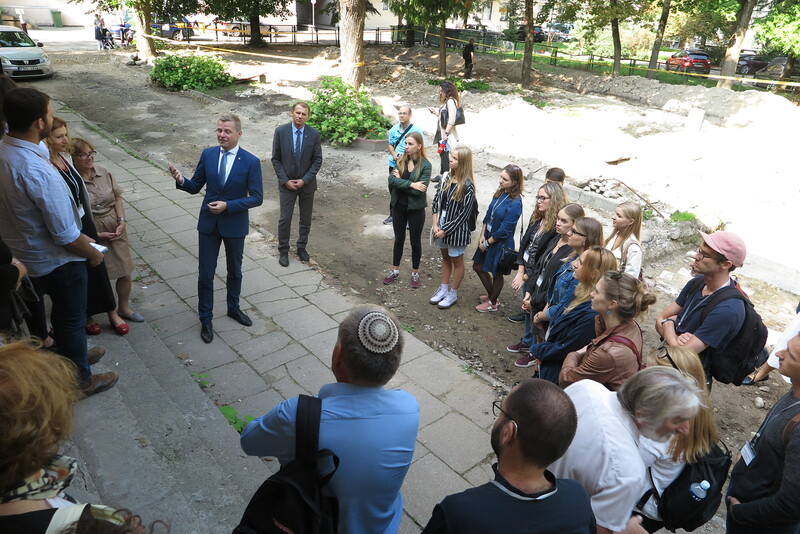 Many students spoke about garden idea (Hebrew גַּן עֵדֶן, Gan ʿEḏen), which is quite a symbolic vision (as Mark Zinger, director of State Vilnius Gaon Jewish Museum mentioned). 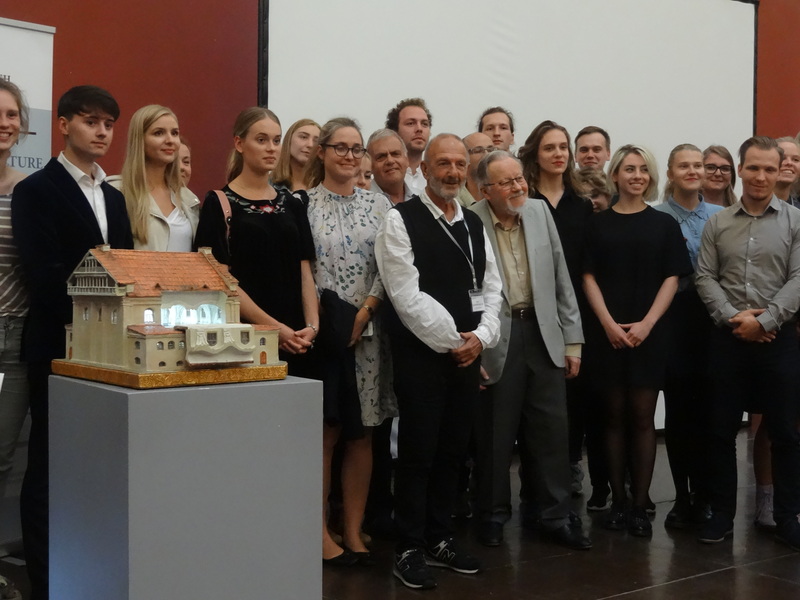 The final remarks and comments were made by prof. V. Landsbergis, prof. T. Venclova, leaders of Jewish communities of Lithuania and Vilnius. 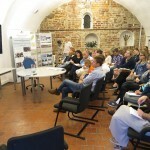 The seminar was supported by many partners, including the ROCK project. 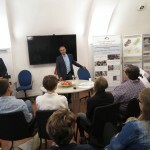 research and innovation programme under grant agreement No 730280.